August 10, 2018, by E. A. Mcmullen- "A burnished ornate candle holder stands beside a small Buddha balanced on a saffron paperback titled Love. Behind it, a vase erupts with gentle orange tulips. A plastic orange basket supports a slab of hardwood with a small painted alligator's head. More pensive paperbacks share a plastic orange cutting board with another case of tulips, copper cups, an orange, and a candle. Beneath, there is a profusion of orange berries and petals in an orange wicker basket, resting beside a box of markers and pens: all siennas, vermillions, golds. This Titian tableau is an introduction to the idea that, as the title of a new art exhibit at Lotta Studio states, nothing rhymes with orange. 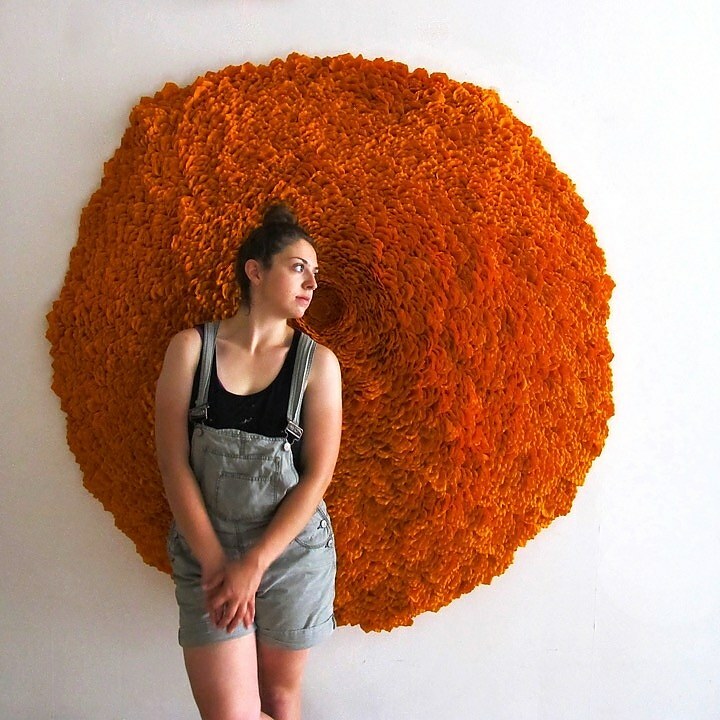 In a partnership between West River Arts and The Range at Lotta Studio, 20 artists are taking part in "Nothing Rhymes with Orange," which has its opening reception on Saturday, Aug. 11 from 5 p.m. to 8 p.m. at Lotta Studio on Whalley Avenue. It runs through Aug. 24..." Click HERE to comment and read full article.